Description Back-Up Camera, Keyless Start, WiFi Hotspot, Rear Air, TRANSMISSION, 8-SPEED AUTOMATIC, Turbo Charged Engine. FUEL EFFICIENT 29 MPG Hwy/21 MPG City! Preferred trim, WHITE FROST TRICOAT exterior and SHALE W/ EBONY ACCENTS interior READ MORE! Rear Air, Back-Up Camera, Keyless Start, WiFi Hotspot All Wheel Drive, Onboard Communications System, Aluminum Wheels, Keyless Entry, Heated Mirrors. TRANSMISSION, 8-SPEED AUTOMATIC (STD), ENGINE, 2.0L TURBO DOHC 4-CYLINDER SIDI WITH VARIABLE VALVE TIMING (VVT) (250 hp [186.4 kW] @ 5400 rpm, 295 lb-ft of torque (398 N-m) @ 3000 - 4000 rpm) (STD), AUDIO SYSTEM, 7" DIAGONAL BUICK INFOTAINMENT SYSTEM includes multi-touch display, AM/FM stereo, includes Bluetooth streaming audio for music and most phones; featuring Android Auto and Apple CarPlay capability for compatible phone (STD). 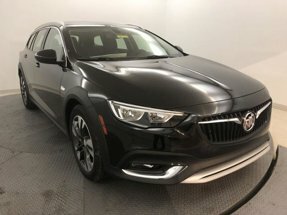 Buick Preferred with WHITE FROST TRICOAT exterior and SHALE W/ EBONY ACCENTS interior features a 4 Cylinder Engine with 250 HP at 5400 RPM*.